Expedia has been around for a while, and I’m sure most of us have used it at least once to search for a flight. But do you really know all that Expedia has to offer? And are you really saving money when you book through Expedia? I dove deep into this site to answer all of your questions and show you everything Expedia can do for you! Do Bundle and Save Deals Save You Money? What Are Expedia Rewards Points Worth? While you can use Expedia to book lots of different things, flights are probably what comes to mind first. Not surprisingly, the main search box defaults to flights, but you can also access the flight search by clicking Flights in the main search bar at the top of the page. Booking a flight on Expedia is a simple process. First, plug in your departure and arrival cities, dates of travel, and number of passengers. To specify things like airline or ticket class, click on the More Options drop-down box. Then click Search. The search results page will include sorting and filtering options to the left of the screen. If you have some flexibility and would like to see prices for different dates, click on Show flexible dates right above the search results. This is a great tool to see if you can save some money by adjusting your travel dates (the lowest price options will be highlighted in green). 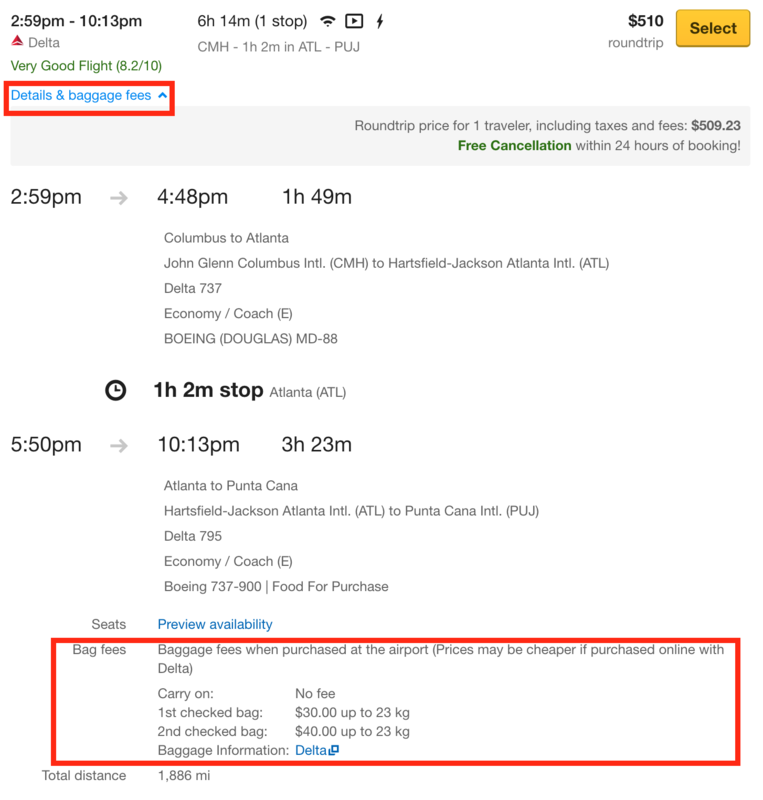 The prices you see are per person for a round-trip flight, and they include taxes and fees (with the exception of any baggage fees the airline might charge). To find out about the flight’s bag fees, click on the Details & baggage fees drop-down. Once you have found the departure flight you like, click Select to continue with your purchase. Next you will be prompted to choose your return flight. Notice the flights that show a +$0 round-trip price — these are the options included in the price you were quoted. 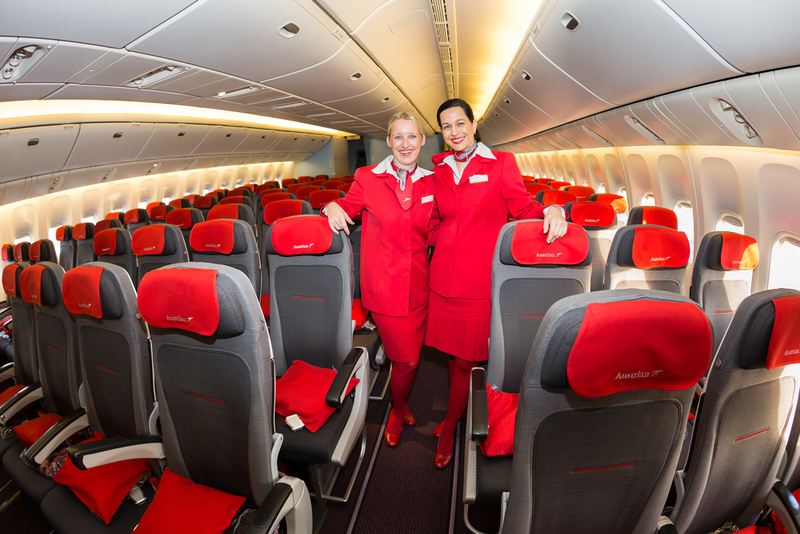 Some flights could have a higher price, which will be added to the original price. Again, click on Select once you have chosen your flight. 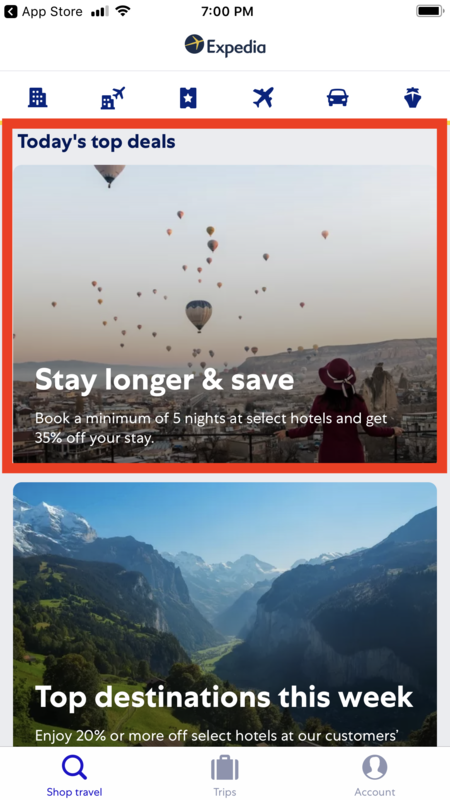 You will then be prompted to bundle a hotel with your flight to save money — more on this in the Bundle and Save section! From here you can confirm your flight details and add upgrades if you wish. Double check your price on the right side of your screen. If there are any booking fees for your purchase, they will be listed here. If you scroll down, you will be able to see the pricing for upgrading your ticket class. Click the yellow Continue Booking button at the bottom of the page to proceed. Then you can fill out your payment and traveler information to complete your purchase. Hot Tip: Expedia offers free cancellation within 24 hours of booking your flight! As you are completing your booking, you will be asked if you want to purchase travel insurance. Purchasing additional insurance is a personal decision, so be sure to do what you are comfortable with. However, make sure you are an informed consumer first. Many travel rewards credit cards out there offer great insurance. Cards like Chase Sapphire Preferred® or the Ink Business Preferred℠ Credit Card come with perks like trip cancellation insurance and lost luggage insurance. So if you are purchasing your flight with the right credit card, you could already have all of the insurance you need. Hot Tip: For a full run-down of the different types of insurance offered by different credit cards, check out our guide to credit card insurance. 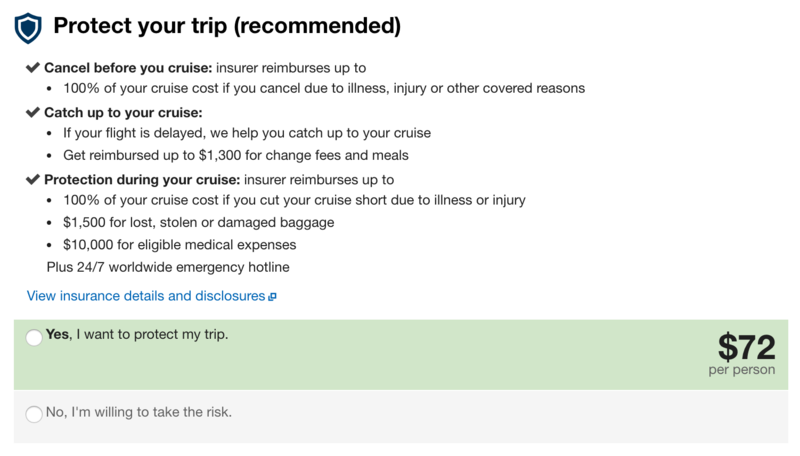 And for the times you think you might need to purchase additional coverage, be sure to refer to our guide to buying the best travel insurance. Does booking your flight through Expedia save you money? Let’s take a look. 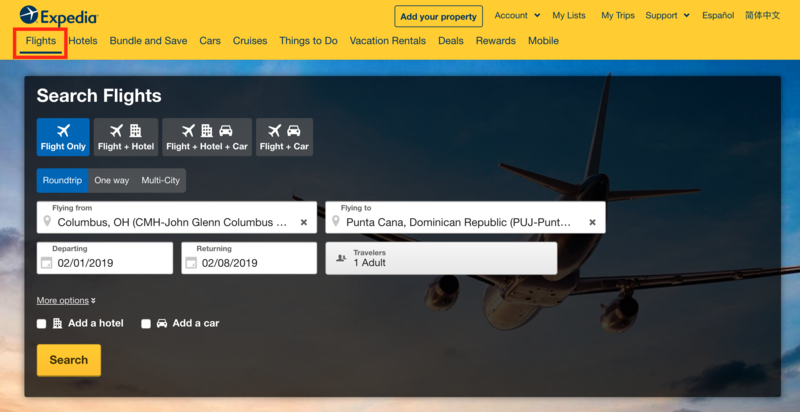 I searched for a round-trip flight from Columbus, OH to Punta Cana, Dominican Republic. I took the first search result I got on Expedia and compared it to other OTAs and the airline’s own website. For this search, I actually got the exact same price on Expedia, the airline’s own website, plus other OTAs like Priceline and Orbitz. In that situation, it’s best to decide what type of rewards you want to earn (Expedia Rewards vs. Orbitz Orbucks for example), so you know the best place to book. I did a second search, from Boston, MA to Dublin, Ireland to see where I could find the lowest price. The lowest price I found was a flight for $299.98. This was the same price I found virtually everywhere else including Hotwire, Orbitz, and Google Flights. CheapOair was the most expensive here at $324.98. Bottom Line: Unfortunately there isn’t an exact science to finding the cheapest flight prices. While Expedia turns out to be a good option many times, it’s always best to take a few minutes to compare prices before you make a purchase. To start your hotel search on Expedia, just click on Hotels in the main search bar. Input your destination, travel dates, and number of travelers/rooms then click Search. 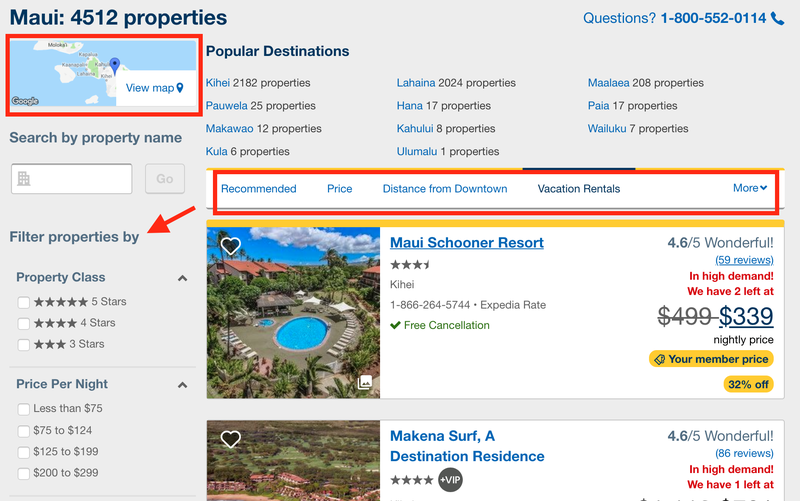 Your search results list will default to Expedia’s Recommended properties — properties can pay Expedia to rank higher here, so these aren’t necessarily the best deals. To change the order of your results list, use the sorting categories right above the list. On the left side of your screen, you will notice a few options to help you filter your list to find the best hotel for your needs. First is the map feature in the upper left corner of your results list. When you click on the map icon, you will be able to see the hotel results displayed on a map along with the price per night. Click on each price to see the hotel name and get a link directly to book that property. Under the map feature is a search box where you can look for a specific property by name. Finally, you will see some great filtering options including property class, price, guest rating, neighborhood, amenities, property type, number of bedrooms, and accessibility. 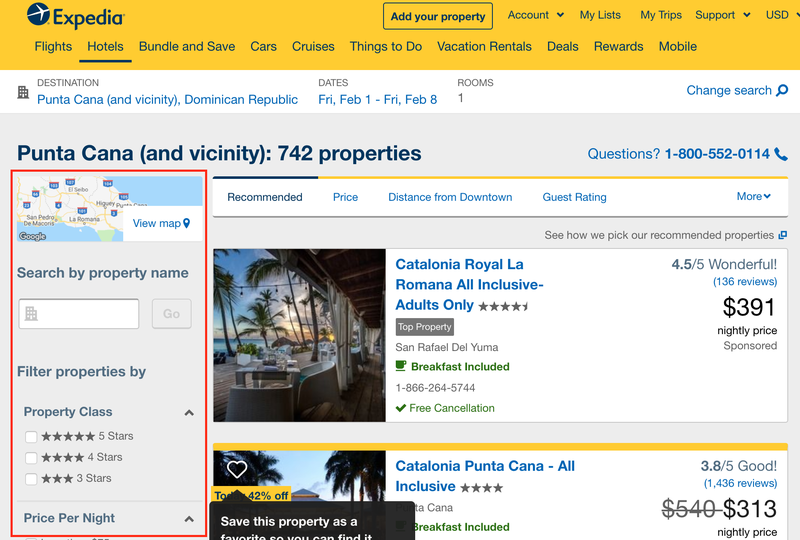 Expedia offers lots of filtering options to make your hotel search easier. Image courtesy of Expedia. Each search result will show you the price per night. I found that the prices for all-inclusive resorts (which typically charge per person) were usually adjusted based on the number of people you were searching for — but it’s always good to double check so you don’t get a last minute surprise! The search results will also give you some other information at a glance, including the cancellation policy and any special amenities the hotel might be offering (like free breakfast or a resort credit). Click on a selection to see more information including room types and prices. The price shown is always for a base level room — if you want a premium room or suite, your price will increase from what is initially shown. Once you have selected your room, click on the blue Reserve button to continue. Then you can fill out your traveler and payment information. Pay special attention when booking all-inclusive resorts or other types of properties that charge by the person. Be sure you are booking for the correct number of people! 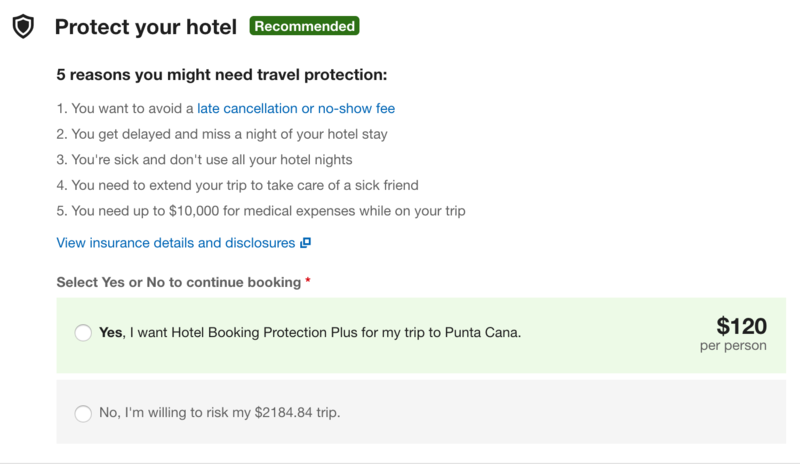 Just as when booking a flight, Expedia will try to sell you hotel booking protection, aka insurance. So, what does it include and do you really need it? The first thing you need to know is that this insurance will vary depending on the state you live in. Click here to access the policies for each state. While there are definitely situations when purchasing extra insurance is a good idea, I personally don’t buy these extra policies. Often, you will have coverage from your credit card, so I would look into that before considering an additional purchase. Bottom Line: For a full list of insurance options offered by each credit card, check out our complete guide to credit card insurance. Note that the Chase Sapphire Preferred® Card and Ink Business Preferred℠ Credit Card cover you for all 3 types of insurance listed above. You might notice that some properties offer special members pricing. But for members of what? These prices are offered to those to create a free Expedia account. I compared prices before and after I created an account and logged in, and the member prices were indeed lower. For the properties that I checked, the savings ranged from $18-$58 per night. So, it’s definitely worth creating a free account if you plan to book a hotel through Expedia! 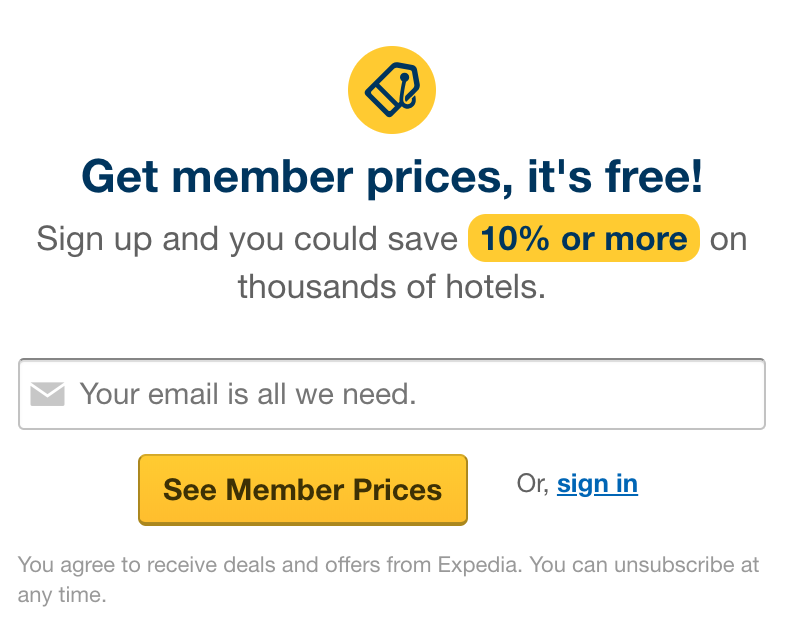 Bottom Line: If you are going to book a hotel through Expedia, be sure to create a free account. You can unlock lower members-only pricing! Now let’s see if Expedia can save you money when booking a hotel. 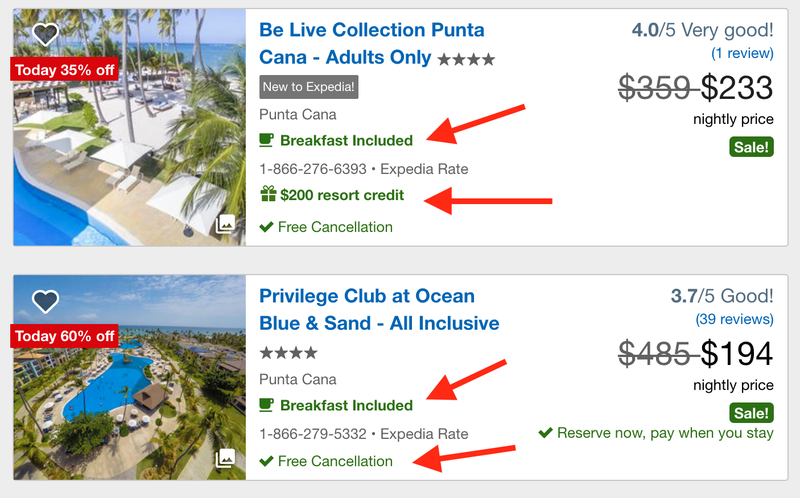 I searched for a week-long stay in Punta Cana, Dominican Republic for 2 people, and here is what I found. 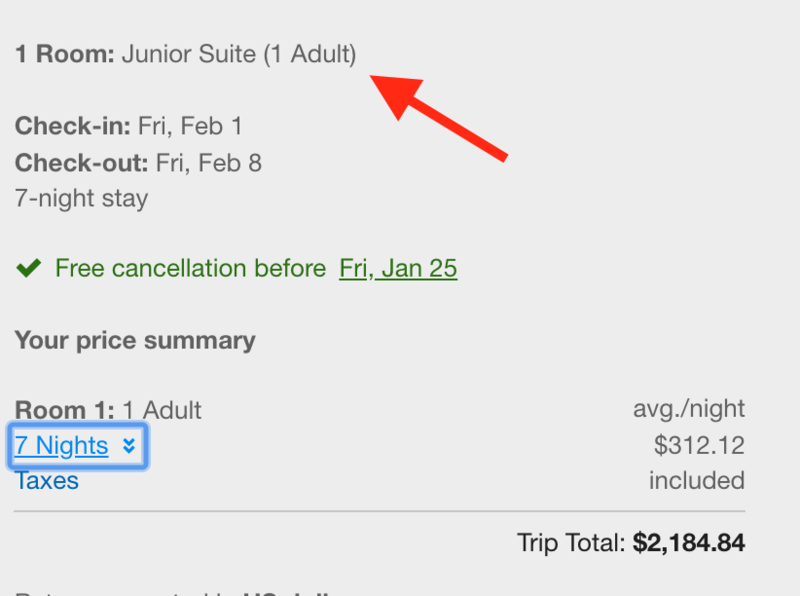 Expedia is clearly the winner on the first hotel, saving $77 over the hotel’s website. 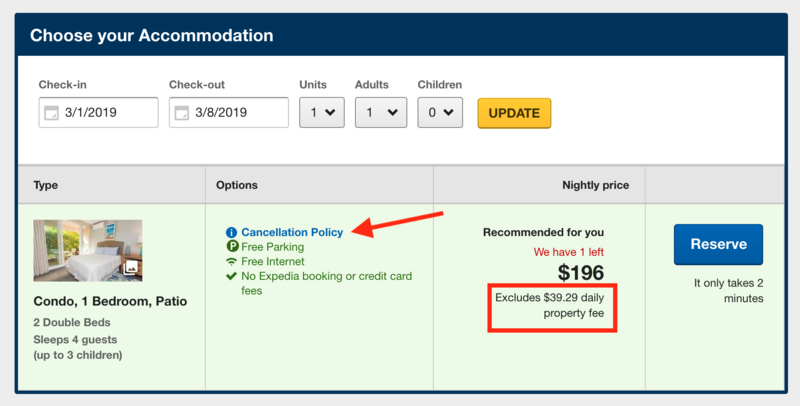 In the second example it’s not quite as obvious, as it is unclear if the $400 credit would also be applied to the room booked through Expedia. The third example shows when it makes sense to book through the hotel’s own website. When you are booking a chain hotel, like Hilton, it usually makes sense to book through the hotel’s website even if the price is the same. Hotels booked through Expedia usually won’t earn hotel points, and any elite status you have may not be recognized. In this example, you can save almost $700 by booking and paying in advance through Hilton’s website. And even if you don’t want to pay ahead of time, you can save over $500 by booking a Hilton Honors member rate (it’s free to join, so this rate is available to anyone). Click on the Bundle and Save tab on the main menu, then select which combo you want to search for. Start by inputting your destination and dates of travel plus number of travelers. Then click Search. You will see search results that look familiar — you can sort and filter your list just as you do when you search for a hotel or flight separately. The thing that is different is that the price listed is per person and includes all portions of your trip (hotel and flight, for example) plus taxes and fees. After you choose your hotel, you will be prompted to choose a flight. One thing you might notice about the second part of your package is that there are different prices. If the price is negative, your trip cost will go down; if it is positive, the cost will go up. Continue to select the rest of your flights and any other portions you bundled with it. Right before you finalize your payment, you will have the opportunity to upgrade your flight or add things like airport transfers and activities. In all of my research on online travel agencies and the best websites to book hotels and flights, I have found that the package deals are where the biggest savings are. I priced out some package deals to see if this holds true for Expedia as well; here is what I found. These comparisons are based on a week-long hotel stay and round-trip flights for 2 people. While you can see that you don’t always save money when booking a Bundle and Save deal, there is the potential to save quite a bit — as much as $440 from these examples!! 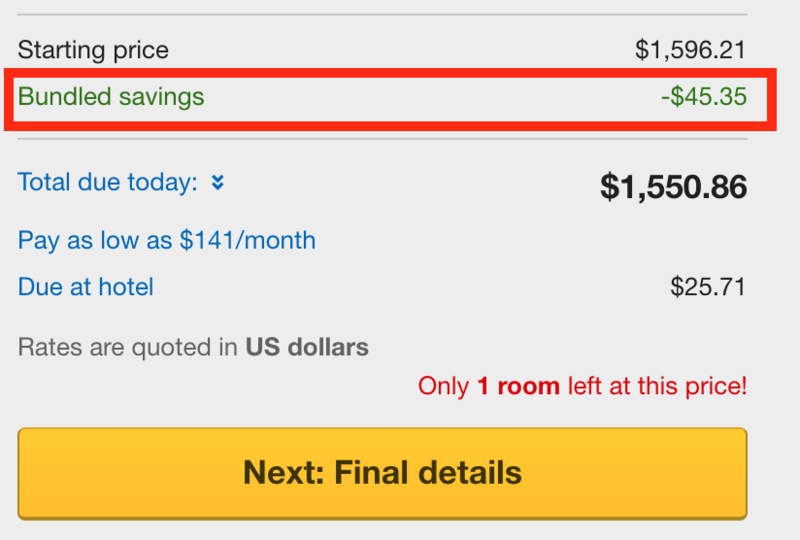 Hot Tip: When booking a Bundle and Save package, you might see a highlighted “Bundled savings” amount. I have no clue where Expedia gets these numbers, because I could not get them to match up to any actual savings that I calculated. I would just ignore these and do the math yourself to know how much you are saving! Bottom Line: Expedia Bundle and Save deals combine a flight, hotel, and/or car rental in one package. While these deals don’t always save money, more often than not, you can save quite a bit. To book a rental car through Expedia, select the Cars tab in the top menu bar. Input your pick-up and drop-off locations and dates. To specify car type, rental company, or if you have a coupon code, click on the More options drop-down menu. Then click Search. Your search results list will default to Expedia’s recommended choices. To change the list to sort by price, just select Total Price in the sort options right above your search results. Click on the map to see the locations of all of the car rental agencies. This can be helpful when you are looking to pick up a rental car in a specific part of town. You can click on each marker to get more information about that location. Once you have chosen the car you would like to rent, click the yellow Reserve button. From here you can double-check the details of the reservation and request extras like a navigation system or child car seat. Click the yellow Reserve button to continue. Hot Tip: You might notice that there are 2 different prices listed — per week and total for 7 days. Pay attention to the total price — this will be the higher of the 2, which includes taxes and fees. Next you will need to fill out your payment information and decide if you want to add insurance. I personally always decline the insurance because I have the Chase Sapphire Reserve®, which comes with primary rental car insurance. 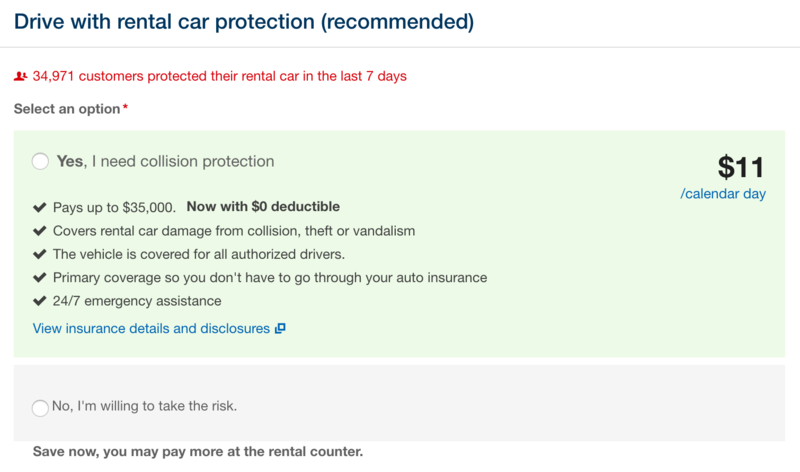 This benefit covers any loss, theft, or damage to the rental car, as well as towing. Here are just a few of the most popular cards that come with some type of car rental insurance. Keep in mind that these policies don’t apply to all car types (luxury sports cars are generally not included) and can vary by card, so be sure to double-check on the specifics for your card. Hot Tip: For a list of top cards that come with car rental insurance coverage, check out our piece on the best credit cards for car rental insurance coverage. In all of the research I have done on price comparisons between different online travel agencies, I have come to 1 conclusion: there is no single place where you will find the best prices every time. In this example, Priceline offered the lowest price, but you had to pay for your reservation up front. All of the other prices were for reservations that you could pay at the time of rental. So if flexibility is important to you, Expedia would be a good option here. The search feature for Expedia cruises is pretty simple. First, click on Cruises in the main menu bar. Input your destination, month of departure, and number of travelers, then click Search. You will also have the option to sort your list of results by price (listed per person), departure date, and length of cruise. Each cruise result will display basic information and the price per person. To see the specific itinerary, click on the Show itinerary drop-down tab. You will also be able to see if there are any special offers with this cruise. (These offers are usually from the cruise line and not exclusive to Expedia.) Click Select to continue. Next you can choose your cabin type. This can be a bit overwhelming if you have never cruised before! You will have options including interior cabin, ocean view, balcony, and suites. Then there are even more options in each of those categories. Hot Tip: Read the description of your room very carefully — many categories of rooms sound similar. For example, an ocean view room usually just has a small porthole (often with obstructed views). And large ships can have balcony rooms overlooking the atriums in the center — so if you want a balcony that faces the ocean, be sure to book an ocean view balcony, not just a balcony! Once you make your cabin selection, you will need to input your traveler and payment information. You will also be asked about your dining preferences. Most cruise ships now offer both traditional seating (at the same time each day, often at a table with other passengers) and normal restaurant-type seating (go in whenever you like and sit only with your party). You will also be asked if you would like to purchase insurance. As with flights and hotels, it’s a personal preference, but using the right credit card for your purchase can replace the need for any additional coverage. Hot Tip: Check out our guide to credit card insurance for a full list of what each card offers. I priced out several cruises in different cabin types on multiple cruise lines including Royal Caribbean, Carnival, and Disney. They all came out to the exact same price on Expedia as they did on the cruise line’s own website. So if you collect Expedia Rewards points, it might make sense to book through Expedia. Otherwise, I generally prefer booking direct. Either way, make sure you are using a credit card that earns bonus points or offers perks on travel purchases like the Chase Sapphire Preferred® Card or Ink Business Preferred℠ Credit Card. You can use Expedia to book activities in your destination too. Just go to the Things To Do tab in the main menu, enter your destination and dates of travel, and then click Search. You will likely have lots of results, which you can sort by price, Expedia picks, and trending activities right above your results list. Then use the filtering options at the left to narrow them down. Each result will give you some basic information about the activity, including the price per person. You will also be able to see the tour company (remember, it’s always a good idea to check what the prices would be if you booked direct). Watch out for a note that the price is based off of 2 or more people — if you don’t book for the number of people required, your price will increase. Click on any result to get more information, check availability for your dates, and complete the booking. Hot Tip: You can earn Expedia Rewards when booking activities through Expedia. Some activities were the same price on Expedia vs. the tour company’s website. One activity was available on Expedia but not the tour operator’s site. One activity was more expensive on Expedia, but Expedia offered the ability to book for 1 person. The tour operator’s site was less expensive, but had a minimum of 2 people. So, again, there is never one right answer here. Expedia is often a good choice for booking things to do during your vacation, but it never hurts to do a quick check on the tour operator’s own site. If you prefer renting a condo or house instead of a hotel, check out Expedia’s vacation rentals. You can find them under Vacation Rentals in the main search bar. You will be able to sort and filter your results with options above and to the left of the search results. Narrow your results by anything from location, cost, property type, rating, or amenities. The map in the upper left corner will display all of your results so you can easily see where they are located. The prices listed are per night. Some properties might have additional fees, which will be listed under the price. You can view each location’s cancellation policy when you are selecting your room — just click on the blue Cancellation Policy link. On the payment page, you will be asked if you would like to purchase insurance. As with flights and hotels, it’s a personal preference. If you are making your reservation with a good travel rewards credit card you might not need any additional coverage — check out our guide to credit card insurance to see all the different types of insurance offered by each card. Check out Expedia’s best deals for the day under the Deals tab in the main search bar. If you scroll down to the middle of the page, you will see the day’s deals by location. Many of these prices are only available for specific dates, so it’s good to have some flexibility if you’re looking to save the most money. When you click on each deal, you should be taken to a search results list with your chosen deal at the top. However, I found that wasn’t always the case. Sometimes I could see the deal…but sometimes it was nowhere to be found. You can find Expedia coupon codes in a few different places. On the Expedia website under the Deals tab, scroll down to the bottom of the page. You will see a clickable link to their coupons page. Coupons are not always available, but it’s good to check before making a purchase. If you have booked a flight on Expedia before, you might have noticed a prompt to log in to earn Expedia Rewards points. Let’s take a look at Expedia Rewards and go over the benefits and drawbacks to see if the program is worth your time. Expedia Rewards is Expedia’s version of a frequent flyer program. You can earn points on your purchases through Expedia and then redeem those points for rewards travel. Members also receive discounts and bonus offers when searching for hotels, flights, and more. Once you are logged in to your account, keep an eye out for flights, hotels, and cars that offer special members-only pricing. 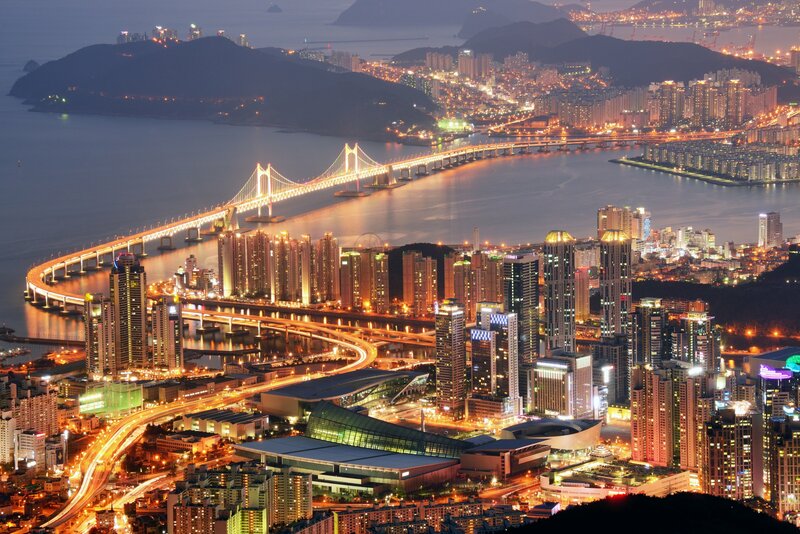 Image courtesy of Expedia. Just as with most frequent flyer or hotel rewards programs, Expedia Rewards offers different levels of status. Status levels are determined based on your hotel activity from the previous calendar year and won’t include anything you spend on flights, cruises, cars, or activities. Unreal Deals are daily vacation package offers that promise big savings. They can be found by logging into your Expedia Rewards account and clicking How It Works at the bottom of the screen. Then click the Unreal Deals link highlighted in blue. These are supposed to default to deals from your home airport, but mine didn’t (even after adding my address to my profile). If you booked your hotel while signed in as an Expedia Rewards member, you are eligible for the Hotel Price Guarantee. This guarantee covers you up until midnight of the night before your stay. If you find a lower price on another website, you will need to submit a claim to Expedia for the price difference. Did you know that you can use other types of points on Expedia? Use your American Express Membership Rewards points toward prepaid hotels or flights on Expedia. Use your Citi ThankYou Rewards toward prepaid hotels on Expedia. Every time you use Amex or Citi points on Expedia, you will also earn Expedia Rewards points for your purchase. You can use points for all or part of your hotel stay and/or flight. You will need to link your accounts to be able to transfer points. Once you are logged in to your Expedia Rewards account, scroll down to Use Partner Points and click Learn More. Then click on the yellow Link Your Accounts buttons to fill out your credit card information and link your accounts. The bad news is the redemption value isn’t great. You will get about .7 cents per point when redeeming your American Express Membership Rewards points. As a comparison, you can get 1 cent per point when booking through the Amex Travel Portal and much more than that when you transfer your points to one of Amex’s airline partners. 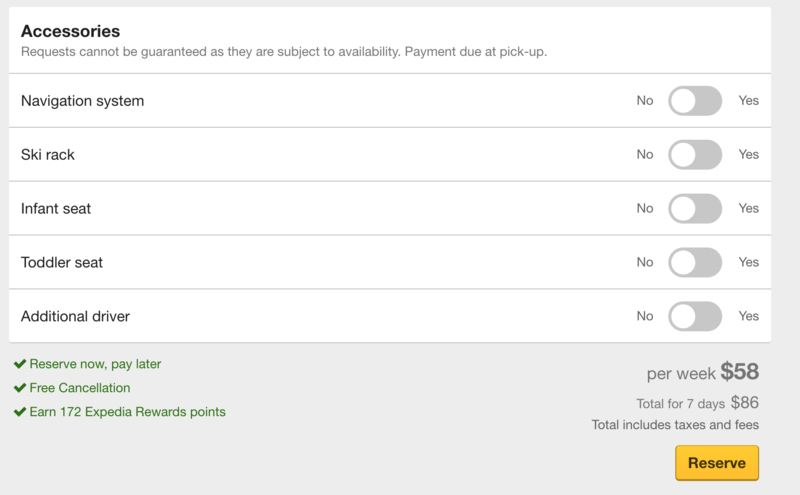 Citi ThankYou Rewards are worth a bit more — .8 cents per point — but that’s still not a great redemption. Citi points are worth 1.25 cents each when booking through the Citi Travel Center, and there is a possibility to get even more value when you utilize one of Citi’s transfer partners. VIP Access Hotels are a group of over 3,000 properties that offer higher standards and consistently get rave reviews and ratings. When you use your Expedia Rewards points to book a VIP Access Hotel, they are worth twice as much! There are even more benefits for +silver and +gold members. They will receive 250 bonus points when booking a VIP location plus get access to amenities like free parking, spa credits, and priority check-in at select locations. In addition, +gold members are also eligible for room upgrades. These benefits include up to 15% off activities and excursions, plus special theme park deals in Orlando (including Walt Disney World, Universal Studios, and Sea World). Make sure you are logged into you account and search for a flight, hotel, rental car, or activity as you normally would. Then look for the Use My Points section under the payment area. Enter the amount of points you would like to use toward your purchase. If you are searching for a flight and don’t have enough points to cover the entire cost or the airline isn’t eligible, this option will not appear. However, as long as you have enough points to cover the entire cost of the flight, you can split up your payment between points and a credit card. Expedia Rewards can’t be applied to low-cost carriers like Frontier, Spirit, Ryanair, Jetstar, AirAsia, or easyJet. You can also use your points to purchase a coupon that can be used toward a Flight + Hotel package. A $25 coupon costs 3,500 points, giving you a .7 cents per point value. These coupons are valid for reservations paid in full at time of booking, and you’ll need to book and complete your trip within 1 year of purchasing a coupon. 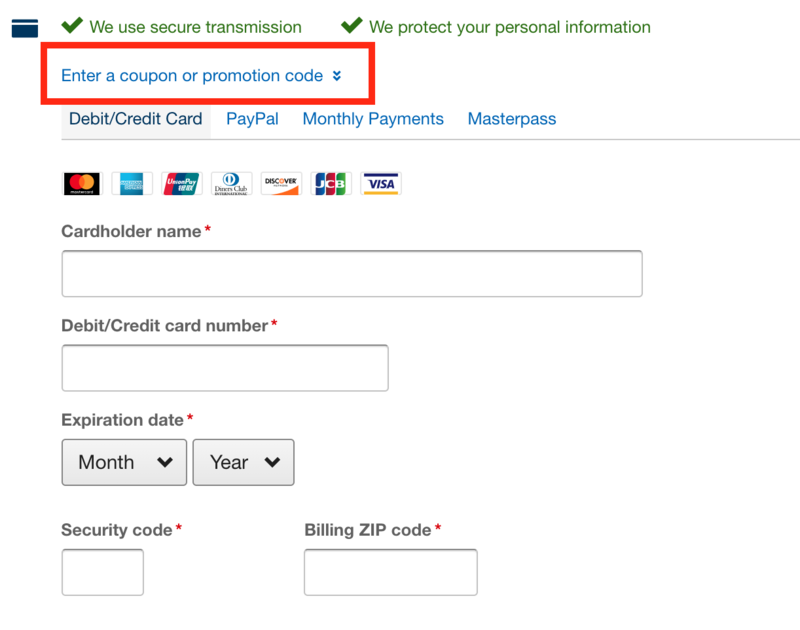 To use a coupon that you purchased with Expedia Rewards points, look for the Enter a coupon or promotion code drop-down box in the payment area. Then select Use a coupon in your account. Expedia Rewards points are worth 0.71 cents per point. This value is doubled when you book a VIP Access Hotel. You will also get a 0.7 cents per point value when purchasing a coupon to use toward an Expedia vacation package (Bundle and Save deals). A $25 coupon costs 3,500 Expedia Rewards points. You can also donate your points to charity. Every 140 points you donate equals a $1 donation, and 100% of your donation goes directly to St. Jude’s Children’s Research Hospital. 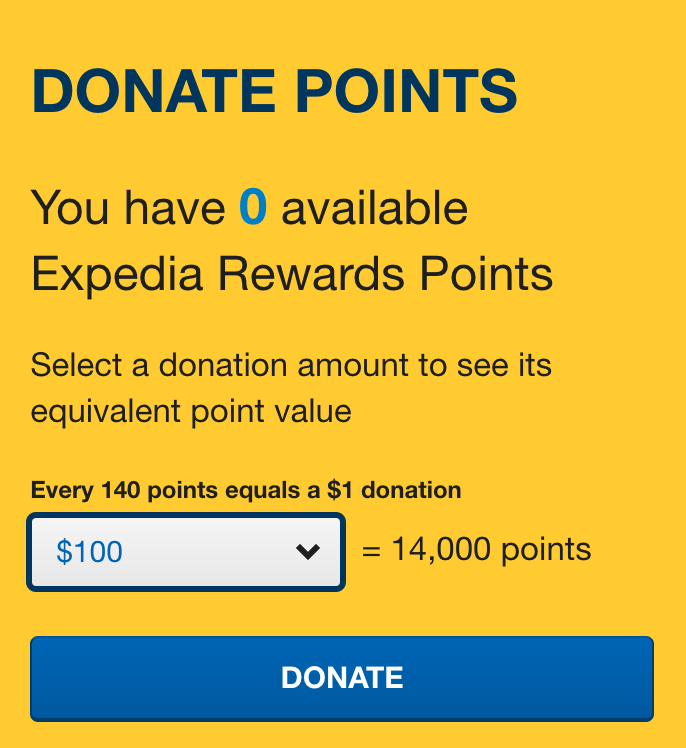 To keep your Expedia Rewards points active, be sure to have a qualifying purchase or redemption activity through Expedia.com at least once every 18 months. 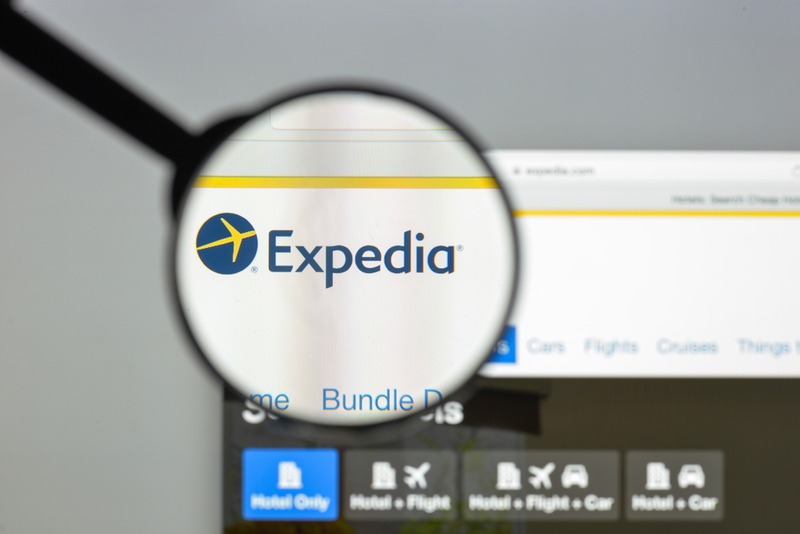 Expired Expedia Rewards points will not be reinstated. Bottom Line: Expedia Rewards points are earned when you book flights, hotels, cars, activities, and vacation packages through Expedia. They can be redeemed for .7 cents each toward the cost of flights, hotels, cars, activities, and vacation packages. They can also be donated to St. Jude’s Children’s Research Hospital. Expedia offers special deals and benefits when you book through their mobile app. You can earn double Expedia Rewards points on every booking through the app and save up to 30% by booking a mobile-exclusive deal. If your trip is booked through Expedia, you will also get notifications on changes or delays and will be able to access your itinerary. One thing I like about the app is the easy access to the day’s top deals — they are prominently featured, unlike online where they can sometimes get lost. Just scroll down a bit on the home page to find them. 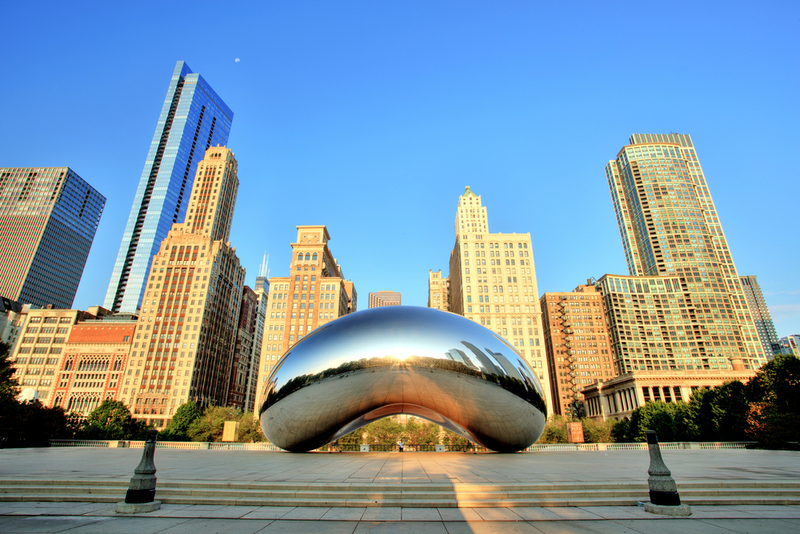 I found some great deals on Chicago hotels that were up to 70% off! Image courtesy of the Expedia mobile app. You can download the app from the App Store, Google Play, click here to text yourself a link, or scan the QR code to download. Here are Upgraded Points, we love to have lots of credit card options that offer great travel benefits. In addition to being a full-service travel agency, Expedia even offers a co-branded card, the Expedia Rewards Card from Citi. Let’s take a quick look at this card to see if it should be in your wallet. Sign-up Bonus Offer: There are currently 2 sign-up bonuses being offered on the Expedia Rewards credit card. These offers are not available if you have had an Expedia Rewards or Expedia Rewards Voyager card that was opened or closed in the past 24 months. Earn 3 points per $1 on eligible Expedia purchases (including flights, hotels, cars, activities, and travel packages). Fast track to +gold status. Earn 1 elite qualifying hotel night for every $2,500 in purchases made between your January and December billing statements. Is This Card a Good Deal? While it’s nice to have another card with no annual fee, this card doesn’t offer much more than the basics. If you are looking for a great all-around travel credit card, this would not be the one I would recommend. My go-to recommendation is usually the Chase Sapphire Preferred® Card. I love that this card offers solid benefits with only a $95 annual fee. However, if you book a lot of travel through Expedia for work, their card could be mildly interesting. Many rewards cards only offer bonus points on flights booked directly with the airline, so this is a good way to earn bonus points on flights booked via Expedia. But, there are also cards out there that offer 3 points per $1 on any type of travel, so this one still isn’t a clear winner. Bottom Line: If you aren’t sure which credit card is best for your situation, check out our guide to the best rewards credit cards for every type of traveler. Do you have a hotel, bed and breakfast, apartment, or rental property that you want to list on Expedia? You can join Expedia Group for free to access some of the most popular online travel agencies out there including Orbitz, Trivago, Travelocity, and Hotwire. As an AARP member, you can enjoy extra benefits through the AARP Travel Center Powered by Expedia. Reservations can be made through the AARP Travel Center or by phone at at 1-800-675-4318. Image courtesy of the AARP Travel Center Powered by Expedia. AARP members receive a 5% cash rebate (up to $350) on eligible group hotel bookings in 9 or more hotel rooms. As an AARP member, you are eligible for up to 30% off select car rentals at participating Avis, Budget, and Payless car rental locations. In addition, you can enjoy the following benefits. AARP members can receive up to $300 in extra onboard credits on select cruises. The amount will be determined by the cost of the cruise. Reservations can be made through the AARP Travel Center or by phone at 1-800-675-4318. Expedia is a huge online travel agency that offers lots of different products and services. While they aren’t a slam dunk for the lowest price every time, there are deals to be had. Expedia Rewards offers points-earning capabilities to get even more value out of every booking you make through Expedia. Whether or not Expedia is your go-to travel search site, it’s worth taking a look at when booking your next trip. Expedia Rewards is a loyalty program where you can earn and use points on bookings through Expedia. It’s free to join, and you can use points for full or partial payment for hotels, flights, cars, and activities. How much are Expedia Rewards points worth? Expedia Rewards points are worth about .7 cents each. However, when you use them to pay for VIP Access Hotels, they are worth twice as much. How do you earn Expedia Rewards points? You can earn 2 points per $1 on hotels, vacation packages, cars, cruises, and activities, plus 1 point per $5 spent on flights. If you have the Expedia Rewards Card from Citi, you can also earn 3 points per $1 on eligible Expedia purchases (including flights, hotels, cars, activities, and travel packages) plus 1 point per $1 on all other purchases. Does Expedia offer a credit card? Yes, the Expedia Rewards Card From Citi is a no-annual-fee card that earns 3 points per $1 on eligible Expedia purchases plus 1 point per $1 on all other purchases. Sign-up bonuses sometimes include a credit after your first Expedia purchase and/or rewards points after spending a certain amount. Are Expedia vacation packages a good deal? Expedia vacation packages can be a good deal, but they aren’t always. Most of the time bundling 2 or more things together (like a hotel and flight) will save you money, but it’s best to always do a price check before you make a purchase. To contact Expedia customer service, click here. If you need help with a trip that is already booked, you will need to log in to your account. Nice information about Expedia !